I was reading today that New Kids On The Block (NKOTB) are set to announce something on their website. Whether that means a new album, a tour it remains to be seen. NKOTB rose to fame in the 80s with such hits as Hangin Tough, Step by Step to but name a few. Hard to believe it, but the members of the group are now in the late 30s! To jog the memory, here’s one of their best songs …. Here’s one of the stories I read (check out the current photo). In today’s ecclectic fashion world, there are many elements that first came to light in the eighties. Ballet shoes are all the rage again now with the kids. In the 80s they were slightly different, more like a real ballet shoe. Now they are ballet inspired flatties. However, I have seen some shoes that could have come from the depths of my cupboard where they have lived since the 80s. The earrings the youth are splashing about are exact copies, in many cases- from the 80s. I for one remember getting about in my rainbow cloloured, shiny drop circle earrings made of only the highest quality plastic. They are everywhere again, even in the same sort of shops. Little holes in the walls of malls, stocked to the rooftop with silver and plastic glinting “must haves”. How come if they are all wearing it again now, and you can get it for $20, new – so you look like you are from the 80s. But, if you want to buy something that is actually FROM the 80s, which is the same, it’s called vintage or retro. AND, you will pay more than $20 for it!!! Everyone that has an ipod uses podcasts. And there are plenty out there on the internet. But what about for the good old 1980’s? Yep, sure is. Stuck in the 80’s is a great blog on the decade that mattered, complete with a weekly podcast hosted by Steve Spears. On the blog pages, there are links to suscribe via iTunes and the more popular readers (including the RSS feed). ALL the past podcasts are there too, so you have plenty of listening to do in order to catch up. Once I build the site up a bit more, I think I’ll email Steve and ask him to mention my site on one of his podcasts, or even better, write an article. 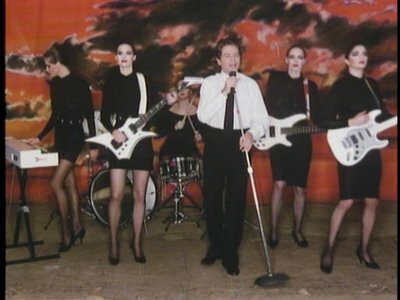 One of most iconic songs from the 80’s was Robert Palmer’s Addicted to Love. The girls in the music video were scantily dressed for the 80’s, and caused quite a stir. To say they are iconic of the 80s is an understatement as even to this day they are constantly parodied. Want some trivia? Read on …. ‘The’ Computer of the 80’s was the Commodore 64 – the best thing since sliced bread. Released in August 1982, the C64 took the world by storm, and is even popular today amongst the cultist computer nerds. Yeah it looks ugly, but this 8 bit (yes that’s right) computer was capable of so many things. Essentially it was a gaming computer, but there were are few non gaming titles released. When it was first released, games came out on cassette tape, and load times were horrendous by today’s standards, Then, as the C64 became more popular, the 1541 floppy disk drive was more affordable. According to Wikipedia, over 10000 titles were released for the C64. The computer had advanced graphics and sound (for the time), and the limits of the processor was pushed by many a software writer. 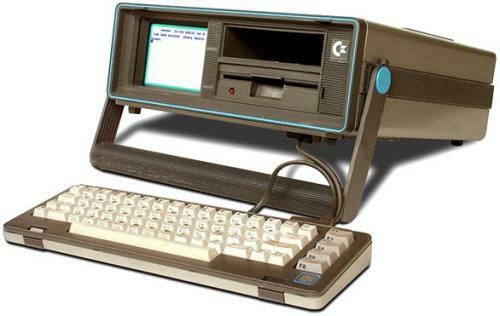 Commodore Business Machines also brought out the SX-64 – a portable(?) 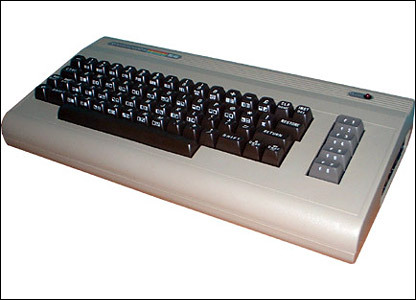 version of the C64. It was a very heavy machine, but boasted a built in 5 inch monitor. The C64 is still very popular, with an abundance of information out there on the net. Just Google it and see how many matches you get ….